Chemotherapy fights cancer by attacking the fastest growing cells in your body--which in some cases includes the cells in your hair follicles. For many people, the damage to hair follicles during chemo can result in weak or brittle hair, thinning hair or even complete hair loss. 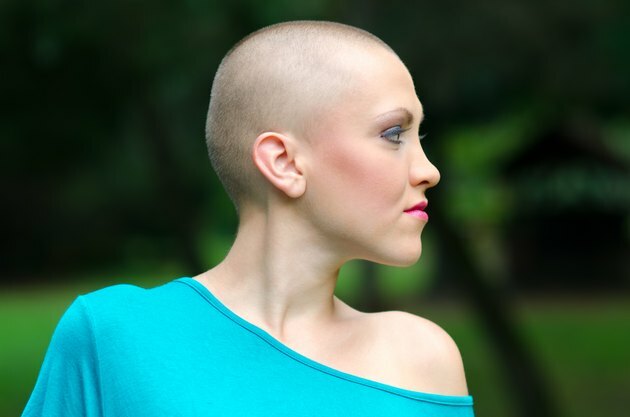 Coping with the effects of hair loss during chemotherapy can be physically and emotionally uncomfortable, but learning how to care for the hair and scalp during chemotherapy can make things a little easier. Switch to a soft bristled hairbrush that will be gentle on your scalp. Choose a gentle, pH-balanced shampoo. Look for one that's recommended for children or babies, or ask your doctor or hairdresser for a recommendation. Stop coloring, perming or otherwise treating your hair during chemotherapy. Consider a short haircut, which may be easier to manage. Wash your hair only when necessary, and avoid brushing or styling hair when you can. In general, leave your hair and scalp alone as much as you can. Opt for a hairstyle that doesn't require you to use styling aids like blow dryers and curling irons. Use sunscreen on your scalp and wear a hat, scarf or turban outside to protect your scalp. You may be more comfortable wearing a head covering inside, too, because your head may be more likely to get cold without hair to protect it. Change your pillowcase to a silk or satin one, which is less likely to create uncomfortable friction on your scalp while you're sleeping. Rub baby oil or mineral oil onto your scalp if hair loss has made your scalp feel itchy or sensitive. Losing your hair can be an emotional experience. If you feel depressed or angry about losing your hair, talk to your doctor, caregiver, friend or family member about your feelings so that you don't keep them bottled up inside. If you're planning to wear a wig, consider purchasing it before you lose your hair so that you can more closely match it to your hair color and style. If your insurance doesn't cover a wig, ask your doctor about local wig banks. Is It Possible to Make a Baby's Hair Grow Faster?